Minamoto Yoshitsune should not have been a samurai. But his story is legend in this real-life saga. 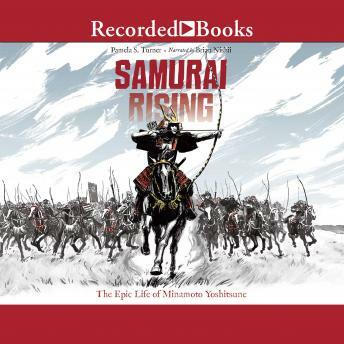 This epic warrior tale reads like a novel, but this is the true story of the greatest samurai in Japanese history. When Yoshitsune was just a baby, his father went to war with a rival samurai family-and lost. His father was killed, his mother captured, and his surviving half-brother banished. Yoshitsune was sent away to live in a monastery. Skinny, small, and unskilled in the warrior arts, he nevertheless escaped and learned the ways of the samurai. When the time came for the Minamoto clan to rise up against their enemies, Yoshitsune answered the call. His daring feats and impossible bravery earned him immortality.